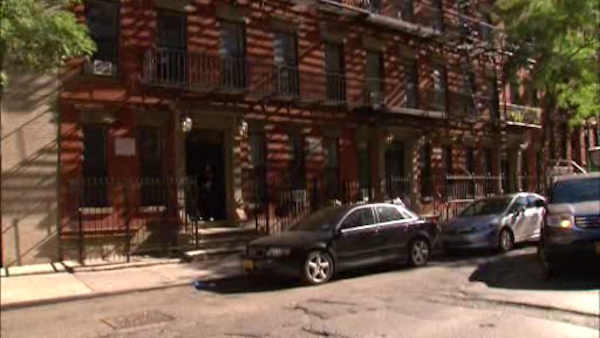 HELL'S KITCHEN, Manhattan (WABC) -- A 27-year-old woman died after falling off the roof of her 5-story apartment building in the Hell's Kitchen section of Manhattan. Authorities say Elena Gladkikh was intoxicated when she lost her balance and fell between two buildings on West 37th Street Sunday. First responders had to pull her free. She was rushed to the Bellevue Hospital, where she died.